hunters aren`t always the only ones who suffer. For a study in contrasts, consider the vastly different conservation approaches that two states--Maryland and New Jersey--have adopted to address the problem of bad news black bears. Both states outlawed bear hunting decades ago. Both states have seen their bear populations--and the associated problems--expand exponentially over the past few years. Both states have taken tentative steps to lift their bans on bear hunting. But while Maryland conservation officials under the steady leadership of Gov. Robert Ehrlich have adopted a judicious, long-term bear management strategy based on extensive study, science and genuine concern for the welfare of the species, their counterparts in New Jersey have floundered, flip-flopped and equivocated, guided only, it seems, by the ever-wavering political calculation of Gov. James McGreevey. 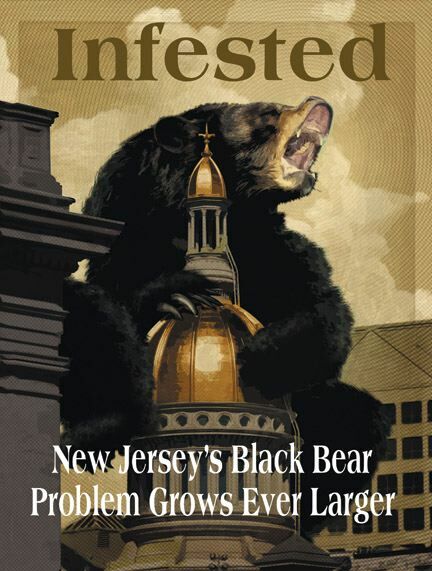 And it seems New Jersey`s bears, as well as its residents, are paying the price. Judge for yourself. New Jersey banned bear hunting in 1970, but within 30 years populations rebounded to the point that bears became an everyday nuisance. According to The New York Times, the number of homes broken into by bears nearly doubled from 29 in 1999 to 57 in 2003, and the number of nuisance bears euthanized by officials skyrocketed from four in 1999 to 35 in 2002. Fish and Wildlife Director Martin McHugh told The Washington Post that in 2003, 53 bears had been struck by motorists, and there were nine cases reported of bears trying to get into vehicles. When asked about bear problems in his area, Blairstown Police Lt. David GaNung laughed as if stunned by this reporter`s ignorance of the situation. "Where do you start?" he said. "I`d say we`re good for at least three to four complaints per week." Stillwater, N.J., schools superintendent Bill Shelton said bears are in school dumpsters "almost every morning" when school is in session. When they tried locking the dumpsters closed, the bears just jumped on top and caved in their plastic lids. Police would come and shoot the bears with rubber buckshot, Shelton said, "but that only keeps them away for about an hour if the garbage smells good." Eventually, teachers had to call kids inside from recess and hold gym classes indoors. Roy Wherry, the police chief in Vernon, N.J., recounted how parents now tell children to carry lunch in their hands, instead of their backpacks, so that if a bear shows up, the kids can throw their lunch down and get away. Sheep, goats and pets have also become menu items. "The first things to go are the rabbit hutches," Wherry said. By the summer of 2003, people--not bears--were beginning to feel hunted. In June, West Milford, N.J., homeowner Patrick Flynn was forced to kill a 400- to 500-pound rogue after it tried to push in his screen door and panhandle the pork chops his wife was cooking. In May, 2-year-old Mark Tregidgo of Sparta, n.j., was sitting on his family`s enclosed front porch when a bear barged in and swatted him. In adjoining New York state, a child was killed by a bear in 2002. New Jersey wildlife officials had been planning to lift the bear hunting moratorium since at least 2000--when a limited hunt was quashed at the last minute--and by 2003, public support was mounting. State biologists that spring put the bear population at 3,278 animals, or about triple the number it had been three years prior, and in December, the first hunt was held in 33 years. In all, 5,450 hunters participated in the six-day hunt, and 328 bears were taken--a number well within wildlife biologists` expectations. Michael Markarian, president of the Fund for Animals, which filed lawsuits attempting to block the hunt, said "There is not a single iota of evidence that hunting bears would reduce bear conflicts with people." But his prediction on bears was bull. According to published accounts, from June 8 to June 21, 2003--before the bear hunt--there were 21 reports of "category one" bears, which the state politely defines as bears that come within 10 feet of a human. From June 8 to June 21, 2004--after the hunt--that figure dropped by 76 percent to just five such reports. From Jan. 1 to June 21, 2003, there were 71 incidents of a less serious nature reported; in the same period this year, that number dropped to 39. The New Jersey Fish and Game Council evidently considered the hunt a success, since it recommended another limited hunt for this December. But things suddenly got sticky when politics reared its ugly head this summer. Animal "rights" activists fought from the beginning to block the 2003 hunt, filing seven lawsuits, all unsuccessful, to stop it. This year, it appeared that they might have quiet backchannel help from Gov. McGreevey, who has flip-flopped repeatedly on whether to hold the hunt. In 2001 during his election campaign, McGreevey seemingly tried to curry favor with animal "rights" groups by pledging to keep New Jersey black bears protected. Within two years, under increasing public pressure to control rogue bears, he switched sides and reluctantly supported the hunt as a necessary management tool. Predictably, the anti-hunting lobby lashed back. Wayne Pacelle, chairman of the Humane usa political action committee, told The New York Times, "Anybody interested in animals is going to know that Jim McGreevey failed to stop this hunt." Pacelle vowed that his group would no longer support McGreevey. Which may be why McGreevey now tiptoes around the issue like a grizzly sow with cubs in tow. Instead, he`s now left it, in the words of his spokesman Micah Rasmussen, to "the capable leadership" of Bradley Campbell, his commissioner of environmental protection--who conveniently holds the authority for issuing permits for a hunt. Like McGreevey, Campbell has also vacillated on the issue. First he promoted it, then he moved to block it. When animal "rights" activists protested the 2003 hunt and McGreevey reneged on his pledge to stop the hunt, Campbell tried to acquit McGreevey, saying, "I believe the governor recognizes the issue of public safety has to trump personal preferences." Now Campbell seems not to care quite so much about "public safety," because despite recommendations by the Fish and Game Council to hold another hunt this year, Campbell announced that he would halt it by refusing to issue permits. Why? In part, according to published reports, because he doesn`t believe the bear population--which he described last year as being at an "all-time high"--is as high as biologists, who are out in the woods studying the bears, believe. Tick, tock, flip, flop. Meanwhile Gov. McGreevey, who unexpectedly resigned just prior to press time for this issue because of a sexual scandal, seemed to be undecided on the issue. A bill now in the Trenton legislature would radically remake the state`s Fish and Game Council, reducing the number of hunters on the panel from six to two, reducing the number of farmers from three to two, and replacing those members with five supported by animal "rights" groups in the state. The bill would also increase the power of dep Commissioner Bradley Campbell by giving him a vote on the Fish and Game Council and by putting the independent agency under his control. Ultimately, future hunts would be in the governor`s hands, and McGreevey could have overruled the environmental commissioner and allowed the hunt again this year. However, his hasty, unexpected departure from office left that option all but dead. Hunters will undoubtedly be watching New Jersey officials` actions to see if they do right by hunters this fall. Compare that to Maryland. When Maryland ended bear hunting in 1953, only about a dozen bears were thought to live in the state. Today, Department of Natural Resources officials estimate some 266 to 437 bears live there, nearly all of them in the far western portion of the state. Indeed, estimated population densities there exceed those of nearby neighboring states, and have more than doubled in the past 13 years. As the population increased, so did the problems. Bear-related complaints rose from eight in 1984 to 364 in 2002. Motor vehicle accidents involving bears also spiked, from five in 1993 to 38 in 2003. Agricultural damage claims more than quintupled in five years, from $10,000 in 1999 to more than $50,000 so far this year--the highest to date. So it was appropriate that Maryland would begin considering an end to the bear-hunt moratorium. But unlike New Jersey`s recent record on that count, Maryland`s deliberations today are characterized by prudence, steadiness and, thanks to the stewardship of Gov. Ehrlich, proven science instead of political expediency. For well over a decade, Maryland biologists have monitored bear populations using everything from mark-recapture studies and scent station surveys to bait stations, "hair snares" and dna analysis of the hairs they collect. Such surveys are now conducted annually. They began tracking bear sightings in 1980 and bear reproductive success in 1986. They monitor bear mortality. They educate the public and work with farmers to help avoid and abate problems with bears. "The state has done a tremendous job of managing bears," said Maryland House of Delegates Minority Leader George C. Edwards, whose district covers the territory where most of the bears live. "That`s why they`ve come back to the point that they now need to have a limited hunt." Three state committees have assessed the bear situation since 1992, and all of them have recommended a limited hunt. If all goes as planned, Maryland will have its first bear season in 52 years Oct. 25-30. The planned hunt is part of a comprehensive 10-year draft management plan. If the desired cull of 30 animals is not reached by then, a second season will be held Dec. 6-11. According to the dnr`s Heather Lynch, state officials plan to issue about 200 permits, with applicants chosen through a lottery system. But there may be roadblocks along the way. Many expect the Fund for Animals, the Humane Society of the u.s. and other national anti-hunting lobbies to file lawsuits to try to delay or do away with the hunt. Delegate Barbara Frush has reintroduced legislation--killed in committee last year--that would impose a six-year moratorium on bear hunting. Roy Wherry, the police chief in Vernon, N.J., recounted how parents now tell children to carry lunch in their hands, instead of their backpacks, so that if a bear shows up, the kids can throw their lunch down and get away. Worse, Maryland Sen. Paul G. Pinsky, who chairs a committee that confirms rule changes proposed by state agencies, reportedly wants to delay authorization of the hunt, ostensibly to allow time for more public comment--despite the fact that a statewide public survey in 2004 found that two-thirds of Maryland residents support a limited hunt. At press time, calls to Pinsky`s office requesting comment were not returned. To Minority Leader Edwards, opposition to the hunt among some urban legislators results from their inexperience with the issue, in much the same way that many suburban homeowners love having deer in the yard--until deer start destroying their fruit trees and shrubs. "It`s easy for people in other parts of the state to say `Do this` or `Don`t do that,` but they don`t have bears," he said. "They don`t hear the complaints. If they got all the calls I get, they might have a different viewpoint." In the end, the best thing hunters everywhere can do to protect their hunting seasons, methods and firearms is to get politically alert and politically active, and as the old adage goes, "All politics is local." If you want to protect your rights and your sport in your own home state, you had better get involved in your own hometown. And you can bet if anti-hunters fight bear hunts in these two states, they`ll gladly fight hunting opportunities in your state. One of the best ways to protect hunting in your state is by coordinating your efforts with the nra-ila Grassroots Division--accessible through www.nraila.org or at (800) 392-8683. They can put you in touch with politically active, like-minded hunters in your area and help you make the most of your combined numbers and strength. Hunters in rural areas may not be able to influence legislators representing urban districts, but a group acting in concert is far stronger than the sum of its parts. By becoming politically connected with other hunters across their state and across the country, American sportsmen and women can exert far more power than they could by acting alone. In this critical, election-of-a-lifetime year, nothing could be more important to preserving our American hunting heritage and traditions.